Workplace safety is a strong concern for most companies and should be regarded as the #1 priority. The safety of employees is of the highest priority. In order to make sure each employee is safe, a safety program is put in place with regular meetings which include evacuation procedures and fall prevention training. Employers should consult the applicable OSHA standards for the specific requirements applicable to their workplaces. Management can also demonstrate a commitment to safety by investigating all workplace accidents and encouraging employees to follow all safety procedures. Identify hazards and assess risks. A hazard is a situation or event with the potential to cause harm. 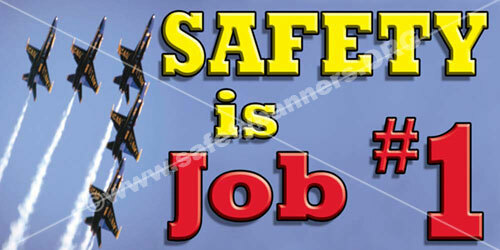 Remember, SafetyBanners.Org offers many of our safety banners in Spanish. When we do not offer a Spanish version, we will create a Spanish version just fro you. Management should be accountable for clearly stipulating safety requirements for employees to follow. 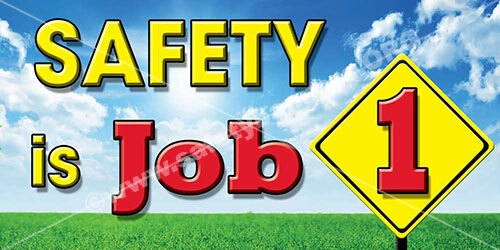 To create a safety culture that exhibits accountability, employee job descriptions must be clear and in writing, and must state specifically the issues and requirements regarding safety and health responsibilities. Having these requirements in writing is critical because it greatly reduces opportunities for ambivalence and misinterpretation. 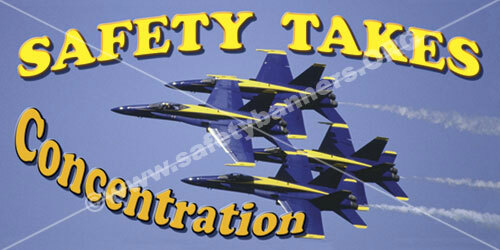 Use safety banners to keep the importance of safety in front of your workers.